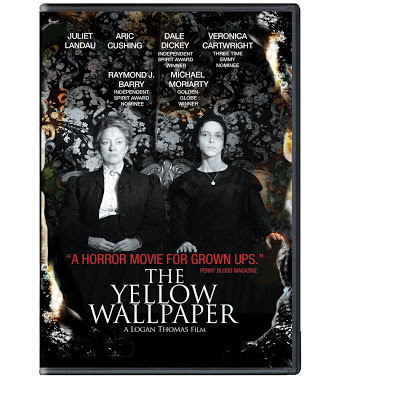 "The Yellow Wallpaper" (2012) starring Aric Cushing, Veronica Cartwright, Michael Moriarty, Juliet Landau and Dale Dickey is a gothic ghost story that will haunt you long after you watch it. 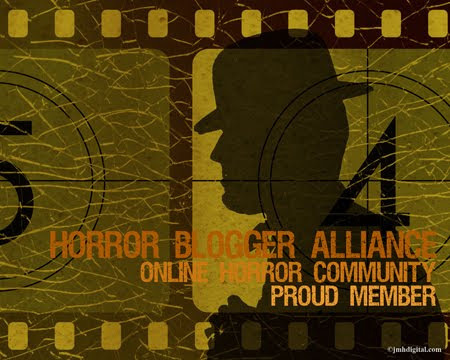 It's the year 1892, somewhere in the southern United States and Dr. John Weiland (Cushing), his wife Charlotte (Landau) and her sister Jennie (Dickey) are moving into a new home they are renting because a house fire at their previous home killed their daughter and destroyed everything. They move into a furnished home that hasn't been lived in for quite some time. Each of the main characters deals with grief in their own way. John becomes distant from his wife. Charlotte retreats into her own grief. Jennie tries to make sure they are all comfortable in their new surroundings. The home is a 25 minute walk from the nearest town that we never see. Between the house and the town is a desert like terrain and then suddenly all around the house is lush green forest. 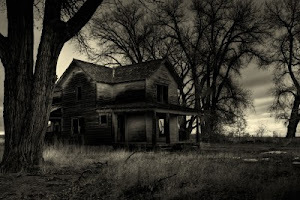 Shortly after moving in, the trio starts hearing strange noises and seeing unknown figures in and around the house. There is even a man inside during the middle of the night and a little girl running away from the house into the night. Nobody can explain any of this. Charlotte is drawn to the attic room which has a yellow wallpaper with intricate patterns. She goes there to write especially during the night. I came across this movie on Netflix and was so happy that I did. The film is beautifully shot with an almost dreamy quality. The beauty of the lush Southern surroundings contradicts the eerie music that is playing over the scenes. 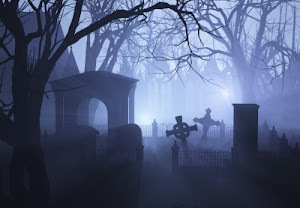 The scenes of the foggy graveyard, walking around looking for intruders with only a candle or lantern and quiet oppressive evenings as all the characters sit with their own thoughts - all put you on edge and keep you entranced. This movie is slow to build but you will definitely be surprised with the ending. I highly recommend that you find and watch this film if you like a good old fashioned ghost story - with a twist!